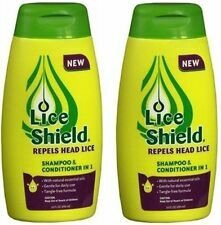 "Lice Shield Shampoo and Conditioner in 1, 10 Fluid Ounce"
LiceMD Head Lice Treatment, 4 oz. Shampoo para piojos de cabeza y cuerpo. Contiene 125ml, incluye un peine de acero. Shampoo for head and body lice. Contains 125ml, includes a steel comb. Es 100% efectivo en el tratamiento de piojos y liendres de la cabeza y cuerpo. Herklin Shampoo NF. Apply Herklin NF Shampoo for head lice all over the scalp, especially in the neck and behind the ears. Enjuaga con abundante agua y no apliques ningún otro shampoo o tratamiento. This Neem Soap have a total of 20% NEEM OIL. 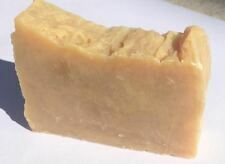 To Use the Neem Soap Shampoo Bar. Each bar is hand cut and varies in weight slightly. Each bar weigh between 5 and 5.5oz. This Neem Soap proves to be a miracle for people with problematic skin. How to Use LiceMD. Apply LiceMD to dry hair, then wait 10 minutes. With LiceMD still in the hair, section and comb hair to remove lice and eggs. 4.5 out of 5 stars - LiceMD Head Lice Treatment, 4 oz. 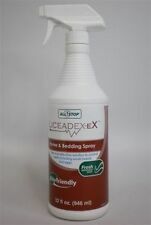 10 product ratings10 product ratings - LiceMD Head Lice Treatment, 4 oz. Sebastian Penetraitt Masque, 5.1 oz. [Deep strengthening and repair masque]. Deep conditioning masque transforms hair that is dry and dull into soft and shiny in minutes. Why are products discontinued?. Other products can be discontinued when we introduce an enhanced product line that effectively replaces the previous one. 5 out of 5 stars - Sebastian Penetraitt Masque, 5.1 oz. 6 product ratings6 product ratings - Sebastian Penetraitt Masque, 5.1 oz. Stop use and ask a doctor if condition worsens or does not improve after regular use. Keep out of reach of children. Purpose Shampoo, Conditioner. Directions For best results use at least twice a week or as directed by a doctor. Kills Super Lice & Eggs. Easy Mousse Application. Makes fine, thinning hair look and feel thicker. Forms a sheer film on each hair strand that acts like invisible scaffold on the hair for touchable yet lasting volumizing lift. Boosts fullness and lift at the roots with Keratin Amino Complex to thicken, strengthen and protect the hair. For an anti-frizz effect protective on the hair apply 2-3 squeezes of OI / OIL on damp hair, distributing it evenly on the lengths and ends, then dry. Roucou oil - anti aging and strong anti-oxidant action. Maximum Strength formulation effectively kills lice and eliminates nits. Included lice comb. Trusted by Mom's for 38 years to treat and eliminate Lice & Nits. Its regular use prevents the fungus from surviving and multiplying. Mata Piojos Lice Shampoo - 2 fl oz bottle. Directions It is a violation of Federal law to use this product in a manner inconsistent with its labeling. SHAKE WELL BEFORE USING. To kill Lice and Louse Eggs: Spray in an inconspicuous area to test for possible staining or discoloration. The PIOJIN Cream is indicated to eliminate the lice and nits of the human hair in prolonged form, without drying or affecting the hair or irritating the scalp. Spray evenly onto hair and leave in. Style as desired. This 5 oz Lice Shield Leave-In Spray gives you a convenient way to protect your hair. It's made with natural essential oils that help condition and de-tangle your hair while repelling lice. Size: 5 fl oz (EACH). A natural Alpha Hydroxy Acid (AHA). Lifts and releases trapped beard hairs. Glycolic, Salicylic, and Phytic Acids work to remove dead skin, fight bacteria and free trapped hair. A Beta Hydroxy Acid (BHA). 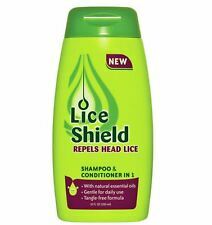 End your head lice misery in one step. Adults and children 6 months and older: Shake well. Dead lice and nits may be removed with a fine toothed comb, if desired. For best results, allow product to air dry naturally, do not rinse out. 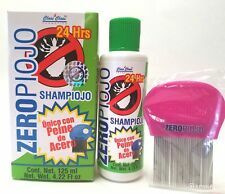 SHAMPOO LIENDREX PARA MATAR LOS PIOJOS Y LAS ELIMANRA LAS LIENDRES. MATA PIOJOS KILLS LICE. mata piojos. Fórmula de aromaterapia repele los piojos y deja tu pelo con olor fresco y limpio. We will do our best to work with you to resolve any issues. Hair type: All hair types, used for: Healthy scalp. Product form: Liquid. Made in the USA. - Reduces redness irritation associated with dandruff (seborrheic dermatitis). Rub between your palms and apply generously to wet or damp curls. Glide the product downward to elongate or scrunch it onto hair in an upward motion to add body and to play up your natural texture. 12 shampoo Piojin para piojos y Liendres. FAIRY TALES Rosemary Repel Lice Prevention Leave-In Conditioning Spray 8 Oz. Professional conditioner that repels lice and adds lice prevention to scalp. Contains vitamins and minerals instantly. 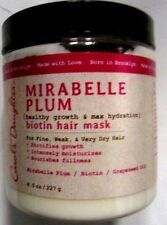 Detangles and fights frizz. Clinically proven 95% effective. Our best defense against lice. We sincerely hope this Electronic Lice Comb can make your life better. ---FAMIDOC USA, Inc. Electronic Anti Lice Comb. The teeth of the anti lice comb is insulat ed. It fits for children and adults with NO pain or electric shock feeling. Coconut, Vegetable, Plant, or Sugar Derived. A weightless blow-dry finishing and heat protectant cream fortified with rosehip, argan, and coconut oils. Apply one to two quarter-sized amounts to freshly washed, damp hair, evenly from root to tip then blow dry and style as desired. Most patients will require only 1 ounce of Lindane Shampoo. Patients may still itch after using Lindane Shampoo. Do not use more Lindane Shampoo. Lindane Shampoo does not prevent infestation or reinfestation and should not be used to ward off a possible infestation. 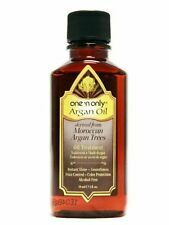 For the relief of itching and scaling of the scalp associated with dandruff. - For external use only; - When using this product do not get into eyes. - Stop use and consult a doctor if skin condition worsens or does not improve after regular use, condition worsens or does not improve after regular use. Hairseptic has many valuable uses Excellent for shaving. Wet beard with hot water, apply Hairseptic to. For electric razors, lightly dampen beard with Hairseptic and shave. Can be used as a dry shampoo for bed patients. Lot of 4 large 5 oz cans! 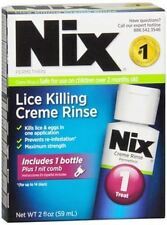 Kills lice and nits in a single application. VAMOUSSE LICE & DUST MITES ELIMINATION POWDER 8OZ BOTTLE BRAND NEW FREE SHIPPING. Condition is New. Shipped with USPS First Class Package.